My name is Scott Sykora and I am a certified Ufologist. I have many years in research and experimentation in the growing field and many certificates verifying my expertise and knowledge in ufology. I have received many awards and accolades for the time and effort I have put into my work regarding UFO’s. I am but one of many researchers trying to give others a better understanding of what we all face everyday, and the struggles that lie upon us in this highly scrutinized field. Everyday we are looked at as “weird” or “freaks”, and are being constantly judged by others because of what we believe. Being a UFO researcher, or Unshaven Follicle Observer, I experience the world in a different light. We often get confused with those that are doing research on unidentified flying objects and are ok with that. We both are equally shunned by society as the weird people who follow a belief in something that doesn’t follow the norm. “No Save November” was a good time to look at a few researchers, and characters, in the field, who are cross-over individuals. These men search for the unknown in the sky and are adorned with magnificent facial hair. Being a believer in the Extraterrestrial Hypothesis, I have followed many of these men in their search for truth. I wanted to focus my attention towards a group of men who I look upon as visionaries in a field that can be controversial at times. Each Individual shares a similar belief in an the unknown and also has some unique facial hair growth. What can each researcher’s/experiencer’s facial hair style say about them and their beliefs? Let us take a closer look at each of these “must knows” in the field of Ufology. The following is what my many years of studying Unshaven Follicle Observing on those that look into Unidentified Flying Objects could possibly mean to the rest of the world. What an experience this man has had over the decades of capturing images and researching some pretty terrific UFO cases. From his research in Socorro to his abduction investigation with Betty Adreasson, this bearded man has given a lot to the field. Ray Fowler has “been there, seen that and DONE that”, and had devoted his life to trying to find answers to the enigma that has baffled man since the late 40’s. Ray’s maintained this facial hair style for many years. It is a scholarly look, the look achieved by a man who has seen it all, the look of a confident man. Keep up the good work Mr. Stanford, you inspire me to be a Silver Fox. Author and podcaster extraordinaire. Only a perfectly maintained goatee can be worn by an expertly astute man. Radio Misterioso is by far the fairest of all podcasts on the UFO enigma, providing thoughtful, sometimes comical, insight in the excluded middle. Maybe the excluded middle is referring to Mr. Bishop’s choice of facial prowess; his razor deciding to be “exclusive” to the right and left side of his face, says a lot. A thoughtful salad of leafy belief and robust skepticism, a meal fit for one on a diet…a diet of intellectual awesomeness. Maybe Paul Benowitz really did discover something unusual in the 80’s. Did the cover-up begin with Doty and his misinformation, or did it begin when Mr. Bishop stopped shaving his chin. Sometimes style and class can be defined by the way a man wears a mustache. This Coast to Coast host could make the likes of Tom Selleck a believer. For many years he, and his luscious mustache, have shared wonderful tales of the supernatural to many adoring fans. I speculate that it is possibly his fuzzy lip caterpillar that may draw the “true” attention to this radio host. 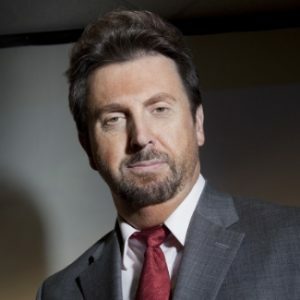 It has been said that he cares more for the entertainment side of what he does over what he believes is being portrayed by guests when it comes to his show. I say this may be true. You can’t look this good with a mustache this amazing and not want to give him a pat on the back. It just comes natural for handsome men like this to be entertaining and sharp looking to those that listen and those that really believe. 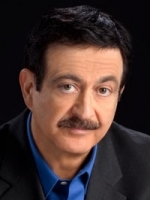 Let us entertain this thought; George Noory without a mustache? I say “Noory Way”. 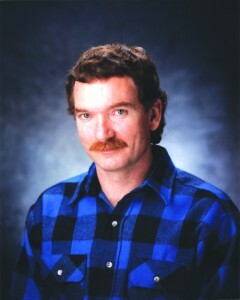 One of the greatest known abduction cases in history happened to this mustached logger. The 1993 movie, “Fire in the Sky” was a loose depiction of what happened to Travis in November of 1975. Other than the film company taking liberties and altering Travis Walton’s experience by making his abduction seem like a horrific experience, contrary to his description, they also cast D. B. Sweeny to play him. While Sweeny did a stellar job portraying Travis, they forgot the most important feature of Walton, his mustache. Try having Sir Daniel Day-Lewis play the roll of Abraham Lincoln and not have the iconic beard, nobody would believe he took playing that character seriously or that he “believed” in his roll. Though I speculate that is truth, I also wonder about when Travis was taken if the aliens implanted him with that out of this world mustache. This fantastic author had me at hello. After Disclosure is one of my favorite books on the topic of extraterrestrial contact. His “scruffy” look has come and gone over the years, but seems to have become a staple of this historian. Does he play it safe or try to be unpredictable with his folic expression? Maybe he is trying to keep us on our toes, making us think it is some conspiracy by a “breakaway civilization” to deny Americans of razors. Many influential men through history have worn all types of facial hair. 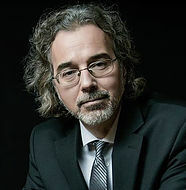 Maybe Richard Dolan saw something in Joseph Stalin’s mustache to drive his studies into Cold War research. Isn’t it ironic that no president who served during the Cold War had facial hair? 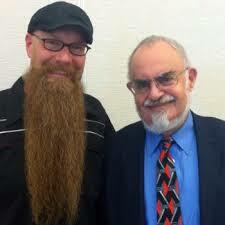 This may be the only thing I can say I do better that Mr. Friedman, grow a massive beard! You would never catch me trying to be a nuclear physicist, why would you expect Stanton to be an award-winning beard grower? Stanton has been called the “Godfather” of Ufology and has showed everyone the importance of good research and fact checking. This man takes great pride in keeping his facial hair perfectly maintained for the past few hundred decades, barely altering his “custom” style. Though I have never seen a “Friedman” ever pulled by someone at a beard competition, I would assume everyone would sit back and take that person very seriously…because he takes his beard very seriously. One of the most referenced researchers out there, the study of UFO’s wouldn’t be the same without this man. Without his beard he would just be Stan Friedman, the nuclear physicist who is ind of into UFO’s…see how much it changes everything? 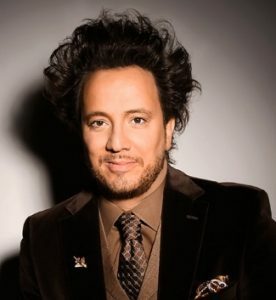 Ancient Aliens, the hit show on the History Channel, wouldn’t be where it was without this man’s beard. Though it is light and airy, it is by far the most distinguishing characteristic of this intelligently animated researcher. All one needs to do is a Google search and you come up with tens of hundreds of fantastic memes made with his terrific facial hair at the forefront. 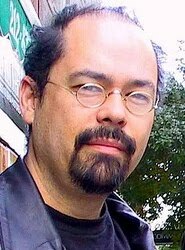 His beard and mustache definitely give him a genuinely unique look that made him soar to the top of ancient astronaut theorists most recognizable. Though his theories may seem out of this world and need some major consideration to get behind, I can definitely get behind this mans crazy facial hair. It is indeed…out of this world. How can you not like this man? He is full of tales of wonderful adventures and has a wonderful full beard!!! Billy has taken his fair share of photos to prove that the UFO phenomena is real. This Bearded man has shared many photos and tales of his UFO experiences in his home land of Switzerland. A trimmed mustache involved in a full beard tells me, “I have a story to tell, BUT- I still want to look good telling it.” The high cheek growth is a dead give away that this man wants to let it all go, but the perfectly trimmed mustache wants me to not “believe” . 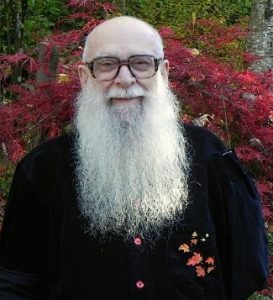 This is the tale of Billy Meier, a man who has been reported to have hoaxed some of the most amazing photos. My question, how can we trust a man who can’t commit 100% to the creation of his amazing, full beard??? 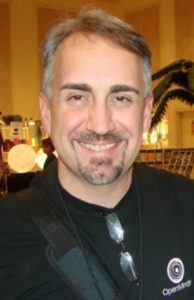 Starting as a skeptic, becoming one who fought for the cause, J. Allen Hyneck brings an amazing style to the forefront of ufology. Coming up with the classifications of contact, this carefully constructed facial-haired astronomer defined what a “Close Encounter” is. With a quick appearance in “Close Encounters of The Third Kind” this mans stature, and beard, came to the forefront of credibility and knowledge of this subject. Swamp gas can’t stop this man from finding the real truth out there. 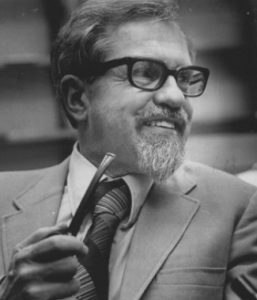 Thank you to J. Allen Hyneck for being one of the first researchers to discover the real truth, the truth that a classic man needs a classic facial hair style to be taken seriously in the hunt for UFO’s. This Roswell researcher goes with a classic style: nicely trimmed and shaped mustache/goatee with a light beard combo. This man has kept this perfectly quaffed look for many years, why not stick with what works! 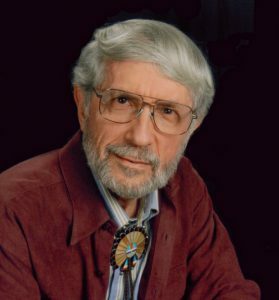 One of the foremost experts of the Roswell incident in 1947, Don has remained steadfast on his facial hair style for decades, helping him become a five-time best selling author. The influence of taking the time to look good can influence a person’s professional career. Recent controversy, however, hasn’t changed his feeling on his nicely maintained look. Sticking with the tried and true keeps this man headed for nothing but perfection. Scott Sykora is The Beardcaster. His podcast and website are home to information in regards to all things related to facial hair. Being involved in the community for the past few years, and having a beard for over multiple decades, he has seen a major shift in culture surrounding the topic.